Hello! Sunday here in Tuttyville, home of Tuttscorp. Had a coffee, watching some of the Cricket World Cup. The gentleman at the house behind me is yelling out ‘Peaches!’ in a disapproving tone yet again. After over two years at my place I’m still not quite 100% sure whether he is referring to a disobedient dog who doesn’t speak human, a young rowdy child, or if he’s just really hanging out for another tour from the fantastic/sweary Canadian/German/international citizen. Anyway, I have some shows coming up. A mini-tour booked for my forthcoming cassette in April/May on A Guide To Saints/Room40 in Brisbane/Sydney/Melbourne (and maybe Canberra? ), but before then I’ve got a Melbourne show in March. It has been over a year since I’ve been in Melbourne (since my show with Matmos last January) and since I’ll be hanging out in Adelaide for Unsound, I thought it’d be great to spend a weekend in Melbourne. 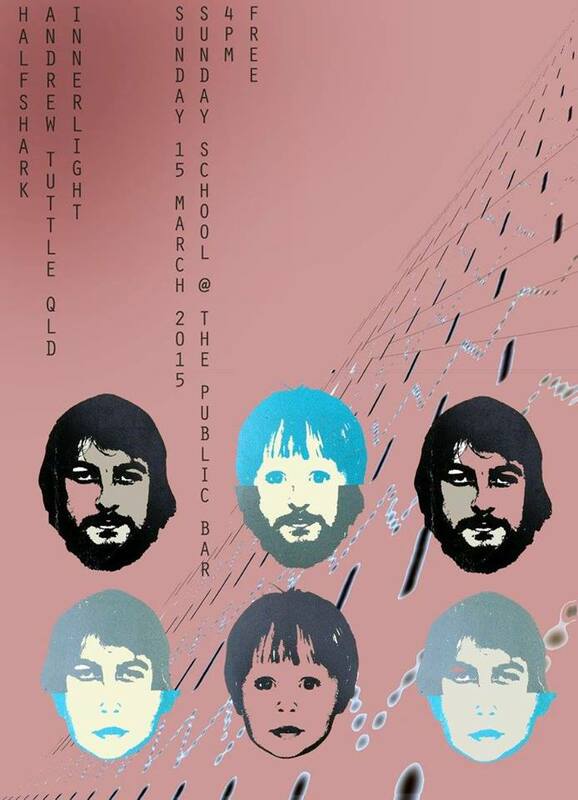 Am playing a show at Sunday School at The Public Bar in North Melbourne on Sunday 15 March. I haven’t been to The Public Bar for years, and since then the wonderful crew at The Old Bar have taken it over. I love The Oldie, and their old venue The Afterdark, so am pretty excited to head back to The Public Bar. Also playing is HALFSHARK (Jessie Warren of Carry Nation’s new project) and Inner Light (side project of Smoke Bellow’s Christian and Meredith). Will be a great show! Free entry, twilight show so you can go to other shows or bed afterwards. Info here!